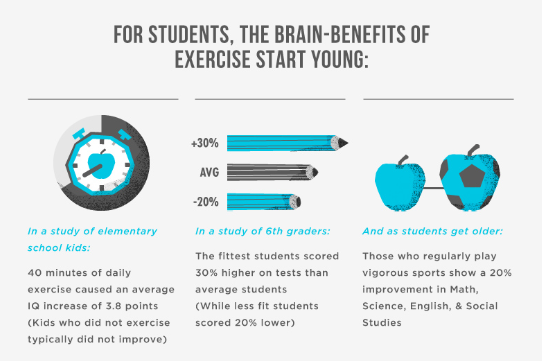 I was recently introduced to a blog post that had some interesting statistics regarding the link between exercise and school performance. 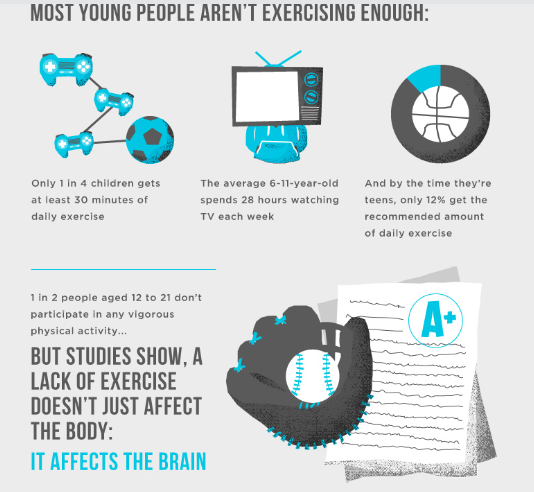 By looking at the graphic below, you can see some statistics showing a lack of exercise for too many of our children. 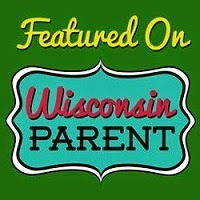 Below that is some information on the brain benefits of exercise.